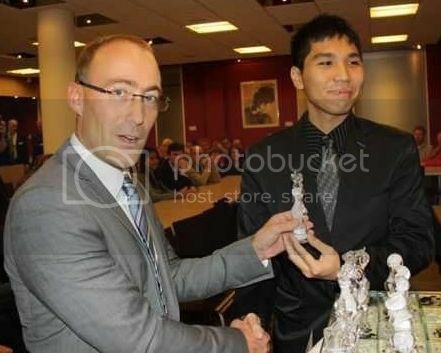 GM Wesley So, formalized his superb conquest of the 2013 Unive Crown Chess Tournament, the 17th Edition, when he finally had drawn his last round (R6) game against England’s top player hyper GM Michael Adams to register 4.5/6 points by virtue of his 3Wins-3Draws-NoLoss record, with a clear 1.5 point advantage to 2nd placers GM Michael Adams and GM Robin van Kampen. So’s tournament performance rating(TPR) was 2877. So dominant was Wesley at Unive that at halfway mark (after 3 rounds) he registered 2.5/3 points. 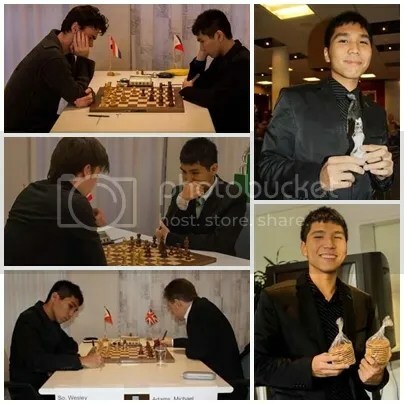 As early as the 4th round when Wesley So basically had won the tournament beating GM Loek van Wely, for the 2nd time, scoring 3.5/4 and a commanding 1.5 point lead over GM Robin van Kampen with two rounds left, then, a draw in the 5th round with Van Kampen preserved the 1.5 point lead over Van Kampen and Adams (who beat Van Wely in R5) that practically clinched the crown with one round to go. 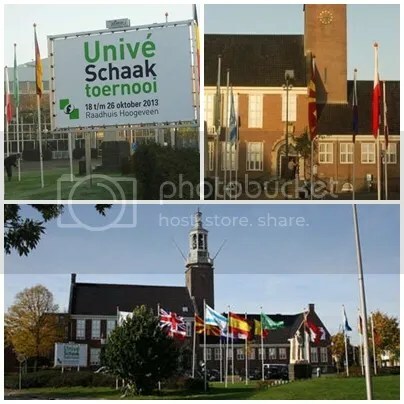 The 17th Unive Tournament in Hoogeveen, Netherlands, one of the most famous international chess tournament, was held from 18 to 26 October 2013 with the Hoogeveen’s town hall as the venue. 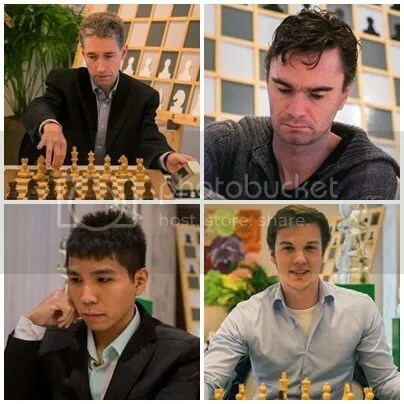 The main attraction of the Unive tournament, the Crown Group, was participated by two experienced players [GM Michael Adams (ENG) 2753 & GM Loek van Wely (NED)2693] and two talented juniors [GM Wesley So (PHI)2706 & GM Robin van Kampen (NED)2607] competing in a double round robin event from 20-26 Oct 2013. 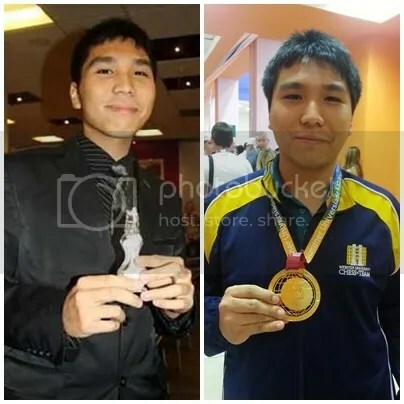 This historic feat of the 20-year-old Philippines’ #1 Chess Grandmaster Wesley So at the 17th Unive Tournament plus his recent gold medal in the 2013 World University Games or the 27th Summer Universiade in Kazan, Russia (Philippines’ 1st ever Gold Medal in the World University Games) more than compensate whatever his country is investing on him. 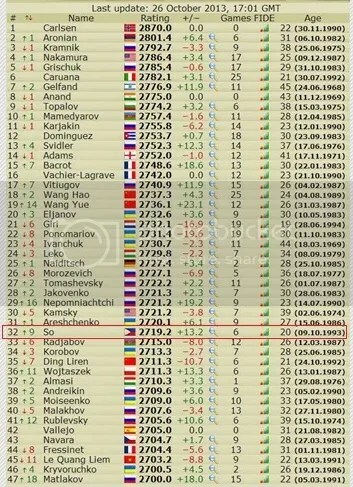 Wesley So, now do have a FIDE ‘Standard’ Live rating of 2719.2 (rank #32 in the World’s live rating) or a 2719 come November 2013 FIDE rating publication, his peak rating so far. He gained a +13.2 ELO points in this tournament. 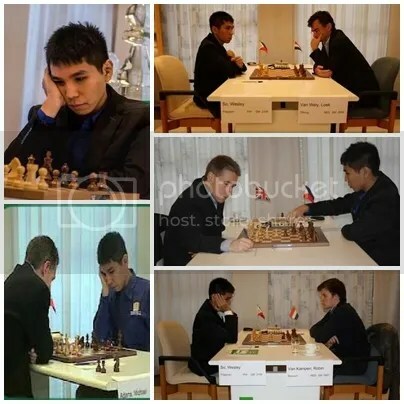 GM Wesley So is a sophomore at Webster University (2013 U.S. College Chess Team National Champion) in Saint Louis, Missouri taking up Business and Finance. I hope Wesley keeps the momentum. Any strong performance in the forthcoming tourneys he is participating in will surely catapult his ratings above a bunch of players at the 2720’s group. This is sheer talent on the part of the guy but no one can deny the fact that Susan Polgar helped Wesley reach the point where he is at now. Our deepest appreciation to Ms Polgar. Ma’am, our sincerest gratitude to you and your chess loving family! Bro Joey, thank you for keeping us posted with Wesley’s chess exploits. That is a lot of reasearch ,dedication, and computer savvy on your part! Your articles aroused again my interest in chess after more than 20 years of hibernation from the game of 64 squares. You always make my day! Kudos! May the force be with you! We, Filipinos are very proud of you!!!!!! !